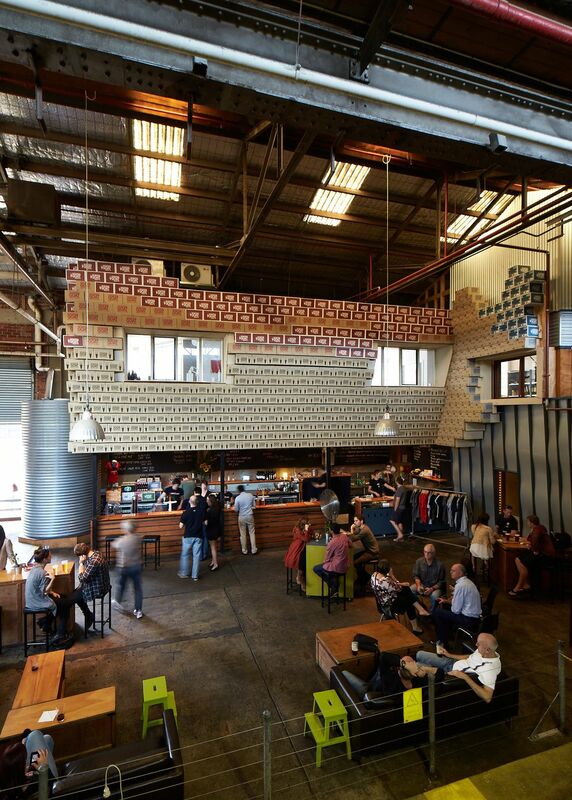 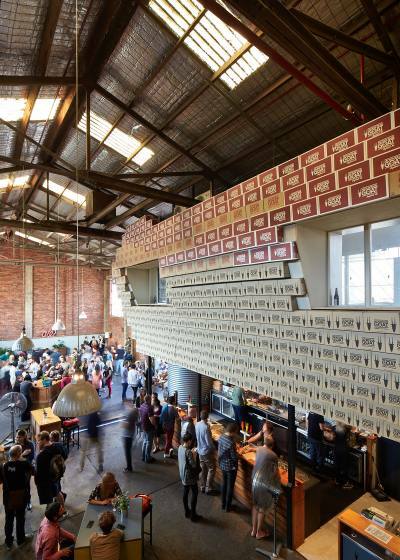 The main purpose for this project was to create new offices for Cam & Dave, the two Aussie treasures responsible for creating Mountain Goat beer. 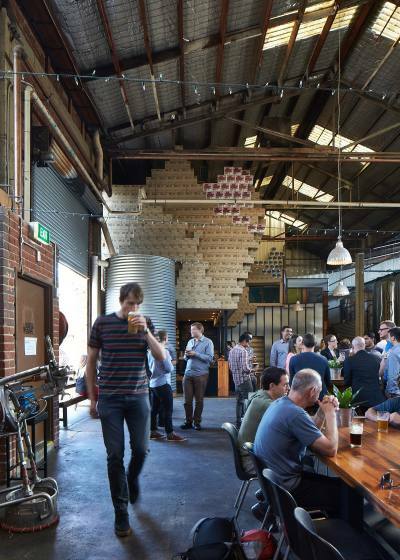 We’ve enjoyed their beer & their friendship for years & jumped at the opportunity to work with them to create a new office space over the existing bar in their existing Richmond Bar & Brewery. To celebrate the history & branding of Mountain Goat Beer (an Australian microbrewery), we decided to re-use & adapt some of the junk which was laying about at the back of the brewery. Cartons & other packaging with redundant & replaced branding were inventoried. 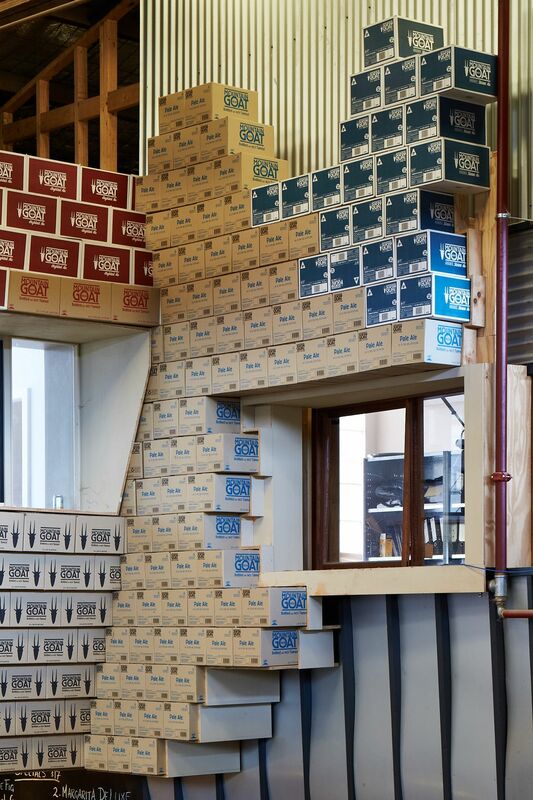 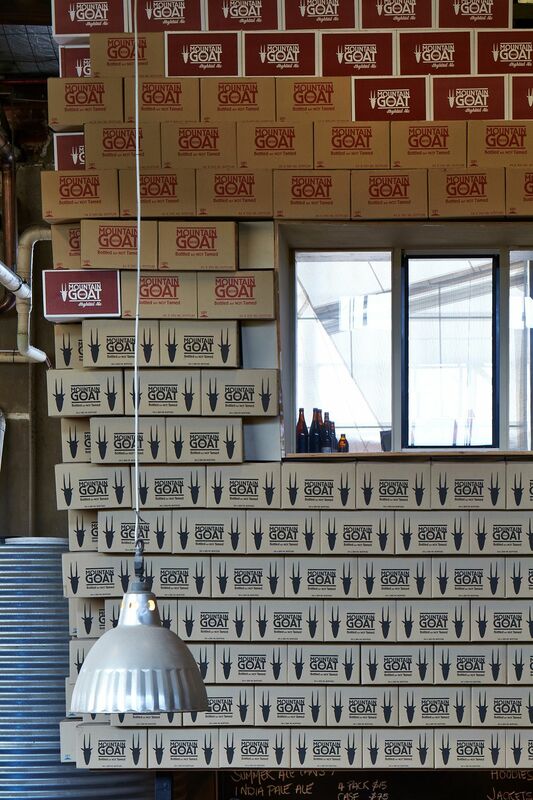 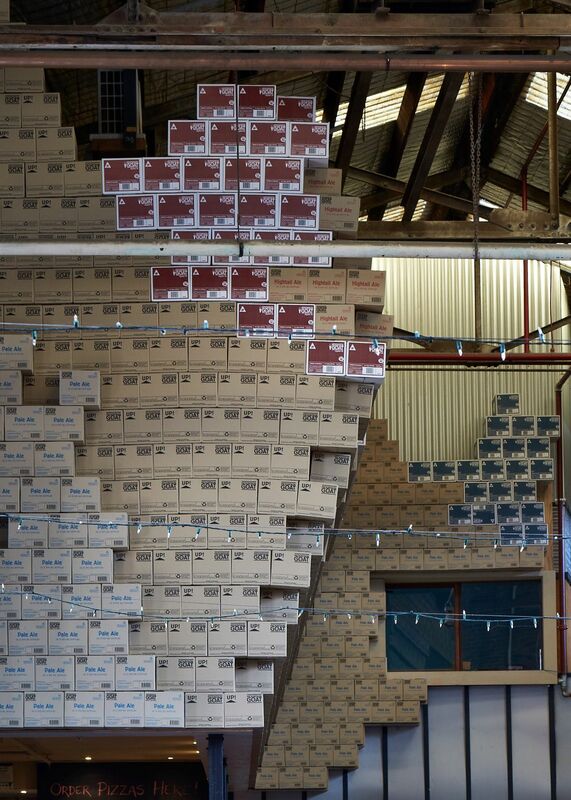 Mountains of redundant Goat-beer packaging were formed (as cladding over some more traditional building materials).